Stream anime episodes online for free, Watch Yu Yu Hakusho Episode 75 English version online and free episodes. 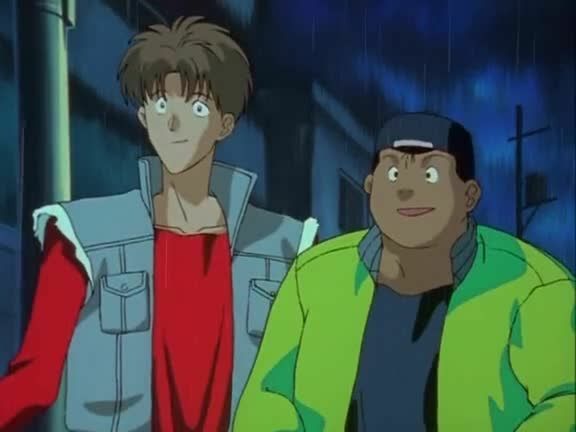 Anime Episode guide, Chapter Yu Yu Hakusho Episode 75 English dubbed Caught in the Rain After Kuwabara and friends attend a concert, they run afoul of Sea Man. While Seaman traps Kuwabara’s friends inside his aquatic creature, Kuwabara’s inability to use his powers force him into a critical situation. Meanwhile Kurama goes to see Koenma, as he suspects that Koenma may already know the identity of who is behind the plot to destroy the barrier.